Synth-ing: CONCERT - Synth-ing Nº7 starts in 10 minutes! This night it will be time for something new, more "symphonic"! To achieve a more "symphonic" sound, I got my Korg Trident in the setup, and you can believe me, it sounds absolutely massive! Along with it will be my trustworthy Clavia Nord Modular G2X and the Roland TR-909! 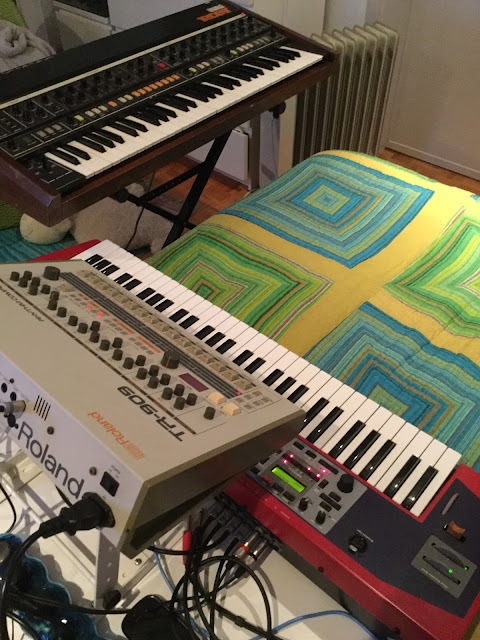 There will be some sequences, but this time, they will be played using the internal sequencers of the Clavia Nord Modular G2X (which can be really nice as well).